In a context where securing a competitive and efficient energy supply is becoming increasingly important, the internal electricity market project in the European Union born. A market that allows increasing energy generation by non-polluting technologies. The project of an internal market began with the Price Coupling of Regions (PCR). PCR consists of a market coupling system that calculates electricity prices across Europe, and allows the allocation of cross-border capacity in short-term markets. The initiative began in 2009, and in June 2012, all the members of the RCP signed the Cooperation and Co-Ownership Agreement. Currently, seven electricity markets apply PCR: EPEX SPOT, GME, Nord Pool Spot, OMIE, OPCOM, OTE and TGE. This means that the PCR matches the prices of the daily electricity markets in Austria, Belgium, Czech Republic, Denmark, Estonia, Finland, France, Germany, Slovakia, Slovenia, Spain, Italy, Latvia, Lithuania, Luxembourg, the Netherlands, Norway, Poland, Portugal, Romania, Sweden, Switzerland and the United Kingdom. The most key element of the PCR project was the development of the unique algorithm EUPHEMIA (acronym for Hybrid Algorithm of Pan-European integration of the electricity market) to perform the price coupling. It calculate the transmission capacities, net positions and prices of electricity in Europe, maximizing social welfare and increasing the transparency of the calculation and the resulting flows. To understand the success of this algorithm, it is necessary to imagine that EUPHEMIA is able to organize the departure and entry of 500 million aircraft from airports across Europe with only 12 hours in advance. Once the daily markets price were coupled, the intra-daily markets were addressed; necessary to adjust the electricity production and consumption forecasts of the electricity market agents. Returning to our example of aircraft, there is always something unforeseen, a delay by strike or a cancellation due to bad weather. For that, it is necessary of later tools so that these unforeseen are tackled. The same thing happens in the electricity market. Unforeseen events arise that vary the energy forecasts and are tackled through the intra-daily markets. Those markets are clearly necessary when you think about the different technologies of the energy mix. A thermal, nuclear or hydraulic power plant are able to follow market programs with great reliability, and even then, there is always the possibility of breakdowns and unavailability that cause changes last minute. On the other side, we have renewable energies that depend on resources as variable as wind or sunlight; a simple cloud can reduce our generation capacity in a remarkable way. Moreover, the importance of efficient intra-daily markets has increased in recent years as result of the increasing intermittent generation capacity, that is, generation with renewable technologies. To this end, the European Commission established an objective model for intraday markets based on continuous energy trading in which the capacity of the interconnection of electricity between zones is assigned continuously and implicitly. 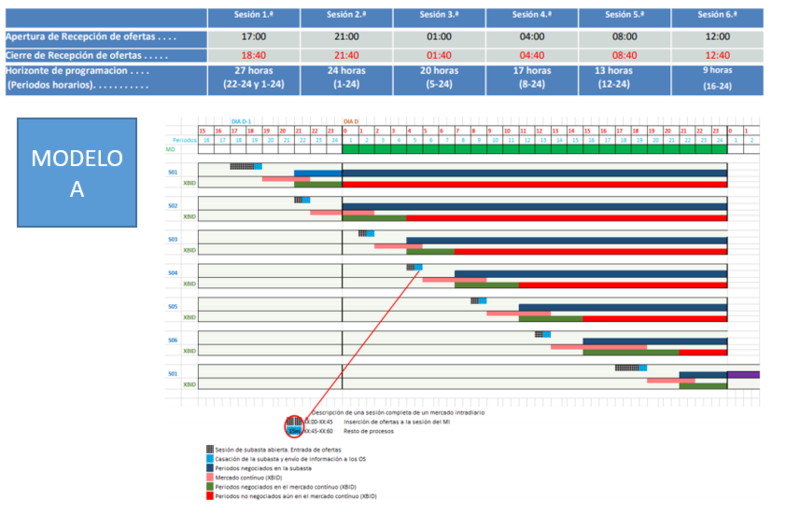 This model is based on the Regulation (EU) 2015/1222 of July 24, 2015, which establishes the guideline on Capacity Allocation and Management of Congestion (CACM) defining in its Article 63 (“Complementary regional auctions”), among other relevant points, the operating model for the European intra-daily market. 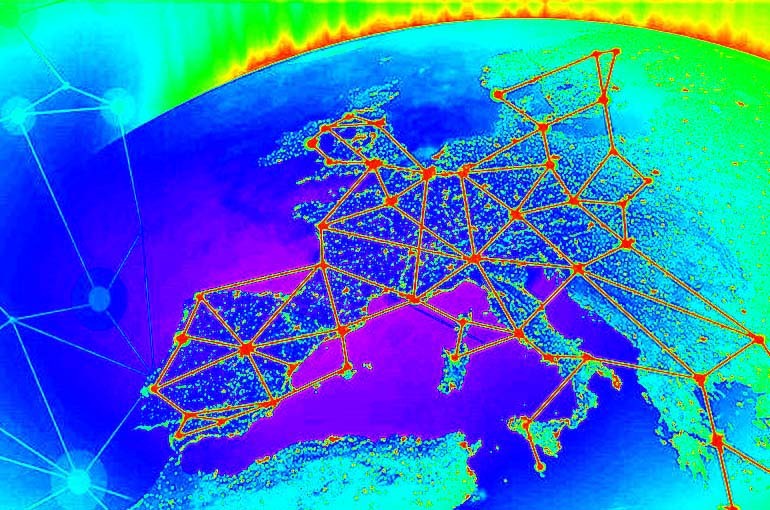 It is a single European intra-daily continuous market solution based on a common computer system that would be the backbone of the European solution, to which local intra-daily markets operated by market operators will be linked, as well as the availability of all the commercial capacity of cross-border interconnections that will be facilitated by system operators. Provided there is transport capacity cross border available between the zones, offers and energy demands introduced by market participants in a country may be matched by orders filed in a similar manner by market participants in any other country that is connected to the central computer system. 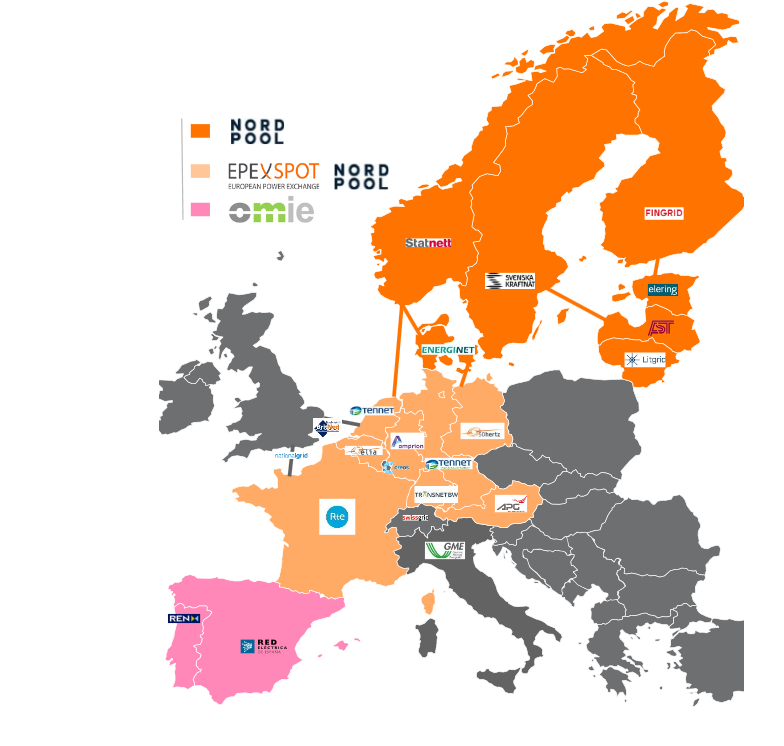 In order to help achieve this goal, European market operators EPEX, GME, Nord Pool and OMIE, together with the transport network managers of 12 countries under the ENTSO-E group, have launched the initiative called XBID market to create an integrated cross-border European intra-daily market. In theory, with this integration model, the possibility that market agents can manage their energy imbalances improves as they can benefit from the liquidity of the market at the national level and the liquidity available in markets in other areas. Model of 6 (although in the future they could vary) intra-daily auctions MIBEL. 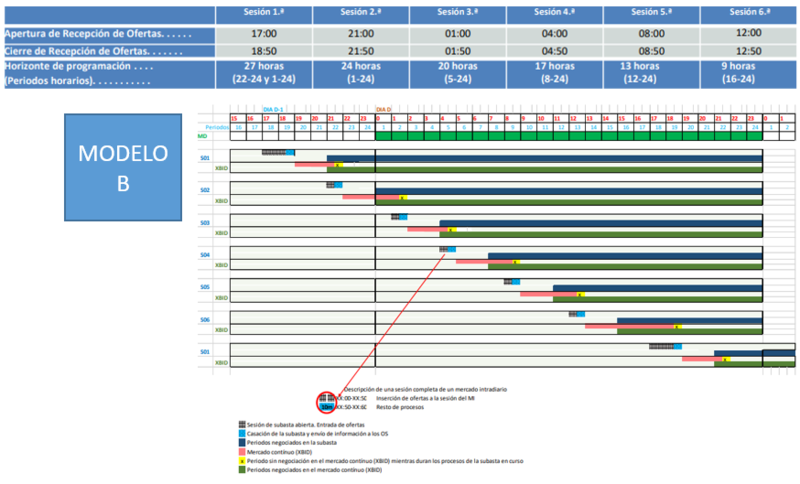 European model of continuous contracting. In essence, the main change in these auctions is in relation to the offers that cross the interconnection between Spain and France (ES-FR). Until the arrival of the continuous model, import and export offers from the French side were managed by auction through a capacity rights mechanism previously obtained in two explicit auctions. Now, the negotiation in the intra-daily market towards the French side and towards the rest of Europe will only be possible through the continuous market. In summary, the electricity market agents of the peninsula, both producers and consumers, we have the daily market at 12 in the morning for the next day where the basis of the electrical planning of the system is generated. Then there are the intra-daily markets to adjust forecasts and be more accurate to the energy reality; necessary especially for producers with renewable. These intra-daily markets consist of 6 auctions where all the agents buy and sell at the same time, and in between is the continuous market. A continuous market where those who have to finish adjusting their forecasts more to reality can agree in a particular way on the operations regarding the price and the amount of energy.. The media have praised the first performance of the XBID on June 12: a fundamental milestone on the way to a single intra-daily market integrated into the European Union. At 22h00, 14 countries connected for the first time in the continuous intra-daily European market: Germany, Austria, Belgium, Denmark, Spain, Estonia, Finland, France, Holland, Latvia, Lithuania, Norway, Portugal and Sweden. Media comment that large volumes have been offered and that purchases have been well below the pool price. “Almost always the price of electricity from the neighboring country is cheaper than ours, and almost always the capacity of the interconnection is saturated (maximum 3,000 MWh), so it does not allow us to see the operations that are being carried out beyond French borders”. Is the peninsula going to be an energy island despite all the advances in iIT for the European single electricity market?